NJ Paleo Girl: Paleo Food of the Week: Avocado! 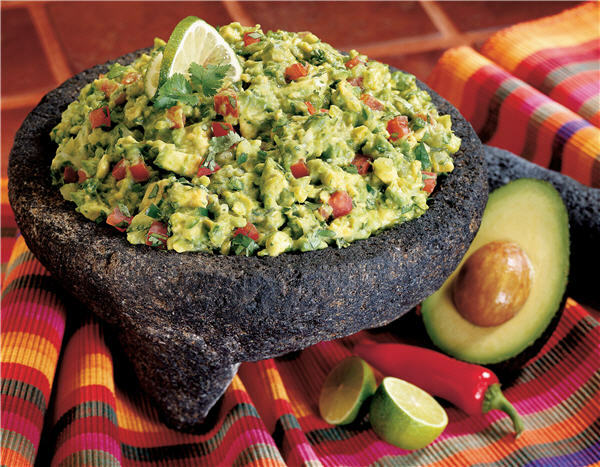 Avocados are native to Mexico, and were known to the Aztecs as 'the fertility fruit’. They are also known as the alligator pear (referring to the pear-shaped fruit with green leathery looking skin). Avocados grow in tropical climates throughout the world [and some temperate ones, such as California]. California produces 95% of the avocados in the USA. 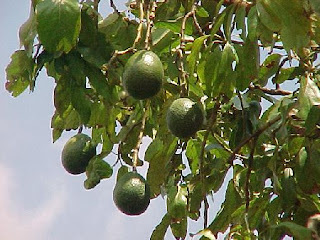 Just like bananas, avocados mature on the tree, but do not ripen until picked off the tree. Once picked, avocados ripen in a few days at room temperature, faster if stored with other fruits such as apples or bananas, or placed in a brown paper bag. 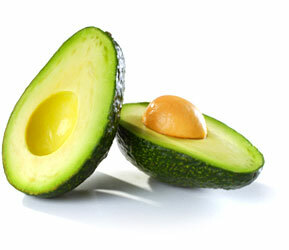 A ripe avocado gives to gentle pressure when held in the palm of the hand and squeezed. Once cut in half, the flesh turns brown quickly, to prevent this, lime or lemon juice can be added to avocados after they are peeled, or the pit can be left in to stop the browning. I will typically cut the fruit in half, and leave the half with the pit in the refrigerator in glass lock containers, it doesn’t turn brown! In a medium bowl, mash avocados and add lime juice, salt, and pepper. Once incorporated, stir in the onion, cilantro, diced tomatoes and minced garlic. Refrigerate for at least 2 hours to allow the flavors to blend and intensify.